Hello! 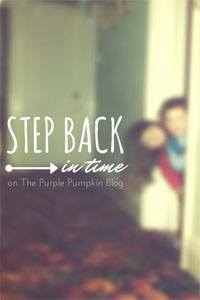 This is my Step Back In Time post run by the fabulous Michelle at The Purple Pumpkin blog. The premise is to post a photo of some part of your social history...could be you or a member of your family but all have to be OLD SKOOOLS. Then link up to lushious Shell's blog and let the world know your stories! Back to this gem.... It's my dad (at the front), aged 5-6? 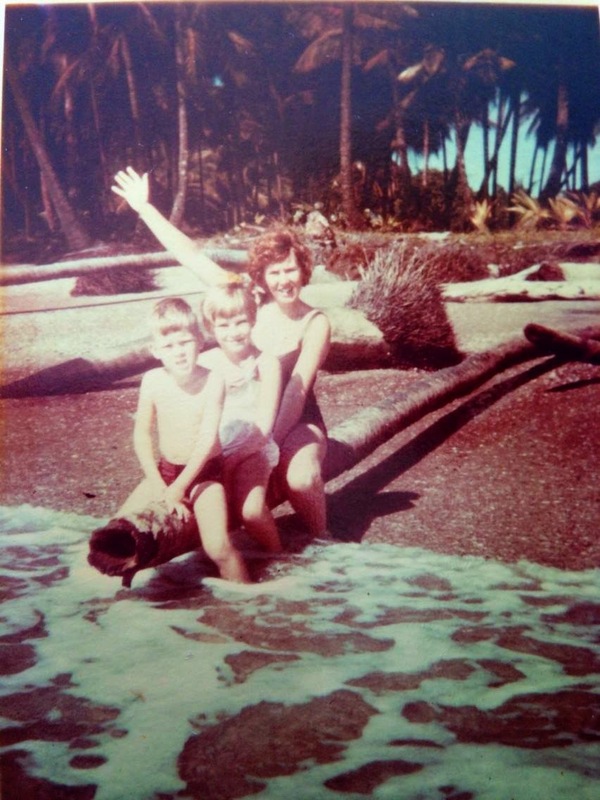 My Aunty Louise and my Grandma on a beach in Trinidad. Dad's parents lived in Trinidad for a while when he was a small boy because his father, my Grandpa, worked for Shell oil. So he had work around the world. Grandma told me story once that her and Dad (approx 5 at the time) had gone to visit someone in the local hospital. Dad got thirsty so Grandma told him to get some water from the water fountain at the end of the ward. Apparently Dad came back with a grim face and stated, in best Trinidadian patois, "the water waste oooout"!!!! (translates as: the water has run out!) Grandma was speechless! She told me he spoke with a Trinidadian accent until he went to school. Instead of my socks, he would say me saaaaks. I love this, i wish they had videos of him speaking like this. He's a very well spoken (posh?!) English man these days so the thought of him with a strong Trinidad accent is brilliant. Do you have an old photo you could tell a story about? Then click on the linky button below and post away! What a fabulous place to grow up! We fell in love with the Caribbean last year when we went for the first time.